What are you doing tonight? You should be watching the commercial free premiere of SOUTHLAND on TNT. The show, which follows the the members of the LAPD, is gritty, and dark, and smart, and intriguing! The show has some of the greatest talents on TV today – Ben McKenzie, Michael Cudlitz (pictured above), Regina King, Tom Everett Scott, Shawn Hatosy, Kevin Alejandro, Arija Bareikis, Michael McGrady, and C Thomas Howell. SOUTHLAND made news earlier this year when NBC canceled the show before it even began airing a Season 2 episode. TNT swooped in and picked up this awesome series – the show will air every episode from the show’s first season (6 total) and then the 6 episodes shot for season 2. Ratings will decide if the show gets picked up for original episodes – do your part and help this show continue for years! Follow the jump for the episode description and some clips from tonight’s premiere! From the beaches of Malibu to the streets of East Los Angeles, this fast moving drama takes viewers inside the lives of cops, criminals, victims and their families. In the series premiere, seasoned police officer John Cooper (Michael Cudlitz) and his rookie trainee Ben Sherman (Ben McKenzie) respond to a call that leaves Ben questioning whether or not he has what it takes to become a police officer. 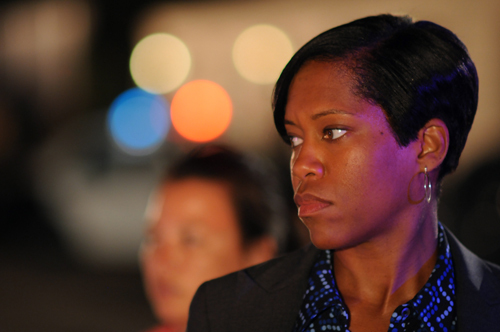 Meanwhile, homicide detectives Lydia Adams (Regina King, pictured above) and Russell Clarke (Tom Everett Scott) race against the clock in the search for a missing girl who may have been abducted. Gang-squad detectives Nate Moretta (Kevin Alejandro) and Sammy Bryant (Shawn Hatosy) hunt for a witness after an innocent victim is gunned down in a drive-by shooting. 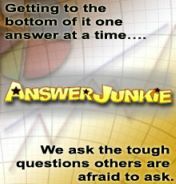 One of the witnesses, a teenage girl named Janila (guest star Carla Jeffery), seems unafraid to aid in their investigation, even though her cooperation might prove dangerous. Her information leads to a raid by burned-out police officer Dewey (guest star C. Thomas Howell) and his partner, Chickie Brown (Arija Bareikis).